The latest installment of the blog series based on our smart cities in Europe, enabling innovation report takes a look at the findings on smart cities in Germany. With its abundance of renewable energy and high levels of recycling, one might expect Germany to be ahead of other European countries in the development of smart cities. This is not the case. One area where Germany is particularly behind is smart meters. A cost-benefit analysis of the merits of rolling out smart meters in July 2013 found that smart meters are only justifiable for certain consumers. The Government has, therefore, ignored EU recommendations to install smart meters for 80% of electricity consumers by 2020. This decision has undoubtedly influenced our German cohort of survey respondents – only 18% of respondents based in Germany believe that energy consumers generally understand and are convinced by the benefits of installing smart meters, compared with a European average of 31%. 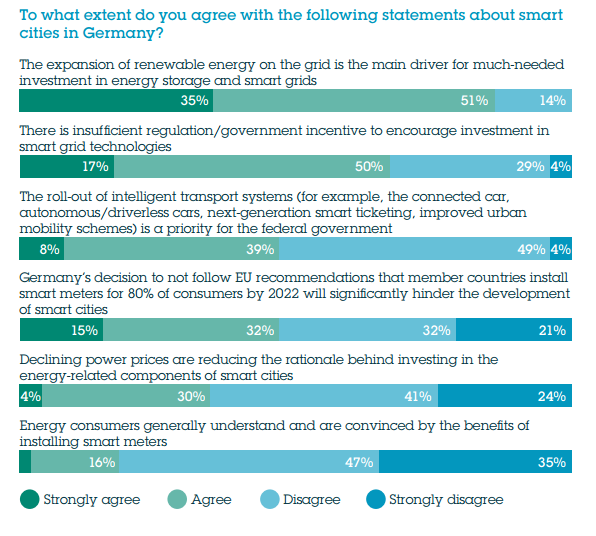 As a result almost half of survey respondents located in Germany (47%) believe the country’s decision to ignore EU recommendations relating to smart meters will significantly hinder the development of smart cities. Smart meters aside, Germany is taking steps to improve the reliability of its grid to accommodate the increase in renewable energy production during the past five years. Some 35.7 GW of solar PV capacity was operational at the end of 2013, compared with just over 6 GW at the end of 2008. 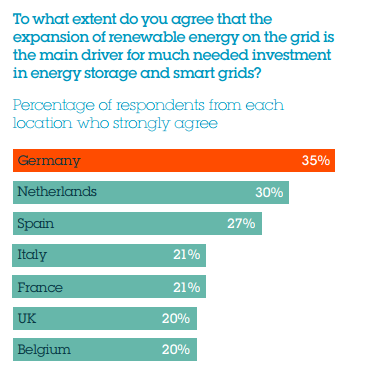 ** Survey respondents confirm that the influx of renewable energy on the grid is driving grid Germany investments – 35% of respondents strongly ‘agree’ that the expansion of renewable energy on the grid is the main driver for much-needed investment in energy storage and smart grids, the highest proportion in our surveyed European countries. One reason why Germany has been slow to develop smart cities is the relatively low proportion of its population living in urban areas. Statistics on the proportion of Germans that live in cities vary considerably due to differences in how cities are defined. However, Germany is consistently ranked lower than the UK, Italy, Belgium and the Netherlands by the percentage of its population living in urban areas. It, therefore, might be expected that Germany has prioritised smart ways of travelling between cities, such as electric vehicles. 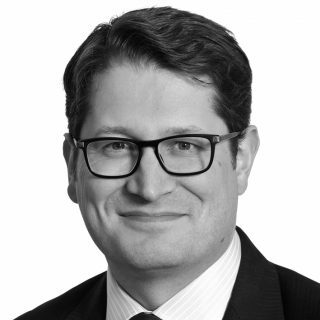 However, as Thomas Funke, Partner at Osborne Clarke, explains, innovation in this area has also been slow to materialise. 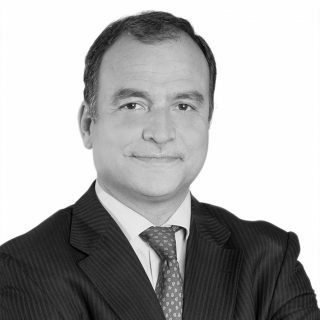 Download the full smart cities in Europe report here.